Today on the podcast, you’ll get to hear my Interview with Craig Coleman from Ordnance Brewing. Recently I connected with Craig via phone. Craig’s a funny guy, and while he is primarily a farmer, his real title with Ordnance is managing partner. You could also call him the mayor. Craig’s farm sits on land that used to be a town back in the mid-20th century. The name of the town was Ordnance, but it’s now a ghost town. If you have no clue where that is, Ordnance Brewing is located out in Boardman Oregon, a couple of hours east of Portland, right on the Columbia River. 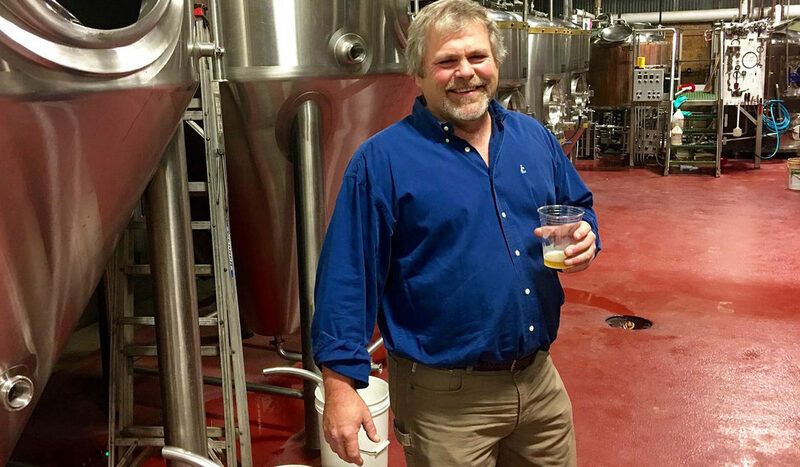 In this episode, we’ll learn a bit about Craig Coleman and Ordnance Brewing. We’ll talk about how Craig balances his full-time responsibilities of both farming and running a brewery, how he got into it, and a few beer tasting suggestions. If you’re not familiar with their beer, you’ll have to join us when we run at their Boardman Brewery on August, 17th, 2019! Wilsonville taproom on August 4, 2018. I share some promo codes in the show, so you and a friend can join us for a 5k fun run that ends at Ordnance brewing. Register here! During World War 2, what is now Craig’s farm was a small town, called Ordnance. It had one purpose, and that was to create ammunition for the war effort – bombs, bullets, stuff like that. A couple of hundred people lived there; it had a school, community center, dime store and more. In the mid-50’s, the government decided to shut down production, and people relocated. It was a hog farm until Craig purchased it in 2005. The beer thing began because Craig and his neighbor would routinely stop over at each other’s homes to enjoy a beer after work. They decided they should see if they could sell it, and opened a tap house. When that took off, they thought, well heck, let’s see if we can make some. 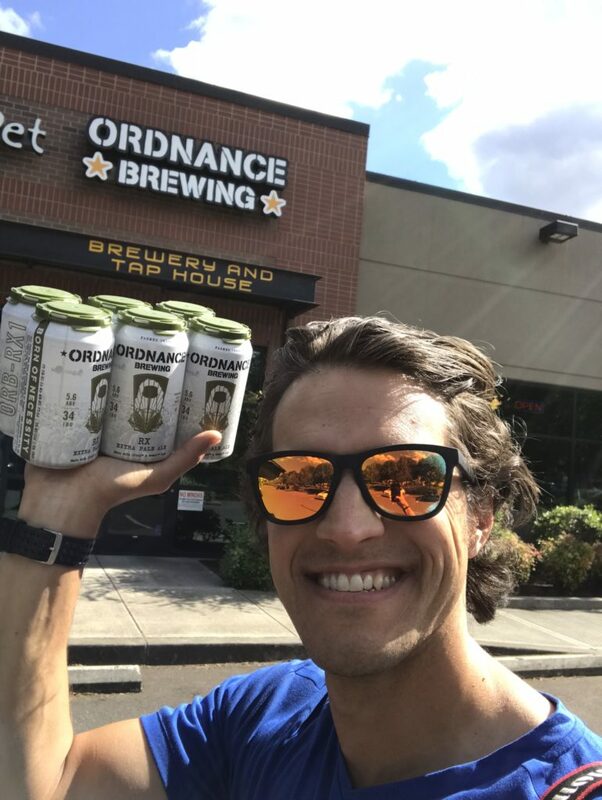 Ordnance Brewing is an outlier, a brewery out past the far edges of Pacific Northwest population centers, far from the regions corporate breweries and dense brewing communities. As such, there are no predetermined expectations from the immediate community, no unspoken rules or formulas to be accountable to. It’s the freedom found in the wide-open spaces of the Columbia Plateau and expansive farmland. In the remoteness, Ordnance Brewing brews freely, with an innovative spirit, a farmer’s work ethic. We’ll be running at Ordnance Brewing in Boardman and their Brewery on August, 17th, 2019Wilsonville on August 4, 2018. The Oregon Brewery Running Series is about inspiring Oregonians to Get Active, Have Fun, and Give Back. We host family-friendly, 5K fun runs that start and end at some of Oregon’s best breweries. Register for our next run here! If you’d like to join us at our next run, register with promo code Ordnance20, and you’ll save 20% off your entry. Our theme music, the Oregon Song, is written and performed by James Hoffman.